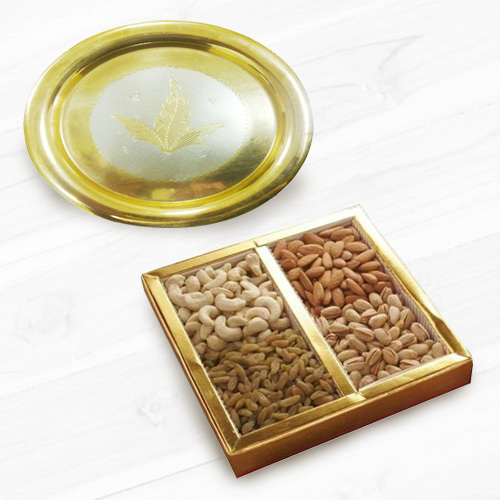 Golden Plated Thali (Size: 5-6 inch) with Assorted Dry Fruits 500 Grms. (Gross Weight). Golden Plated Thali (Size: 5-6 inch) with Assorted Dry Fruits 1 Kg. (Gross Weight).